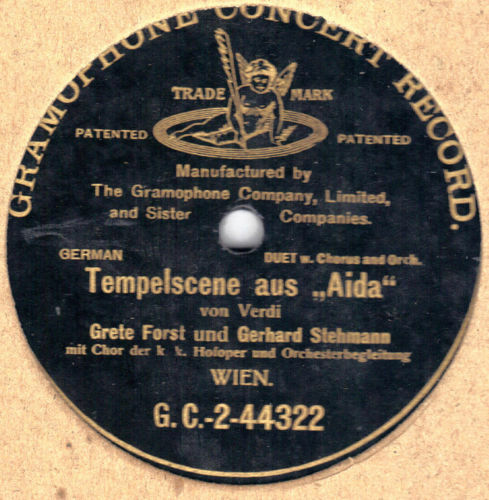 First he studied singing under Lilli Lehmann in Berlin, then continued with Karl Ress in Leipzig. 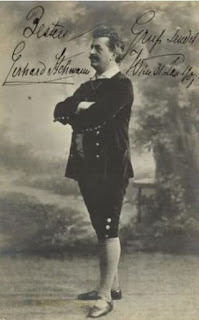 He made his debut in 1889 at the Hoftheater in Altenburg as Admiral Lefort in "Zar und Zimmermann". In 1890 he went to North America, where first he sang in St. Louis, then in the 1895-1896 season at the Metropolitan Opera in New York. He remained a member of the Damrosch Opera Company till 1897 and undertook in the 1898-1899 season an America tour with an opera troupe created by Nellie Melba. In 1899 he was engaged by the Hofoper in Wien, where he made his debut as an Army Caller in ‘’Lohengrin’’ and worked here up to his death. His repertoire included Wotan in Nibelungenring, Kothner and Beckmesser in "Meistersingern", Valentin in ‘’Faust’’, Kurwenal in ‘’Tristan und Isolde’’ and Germont-père in ‘’La Traviata’’.